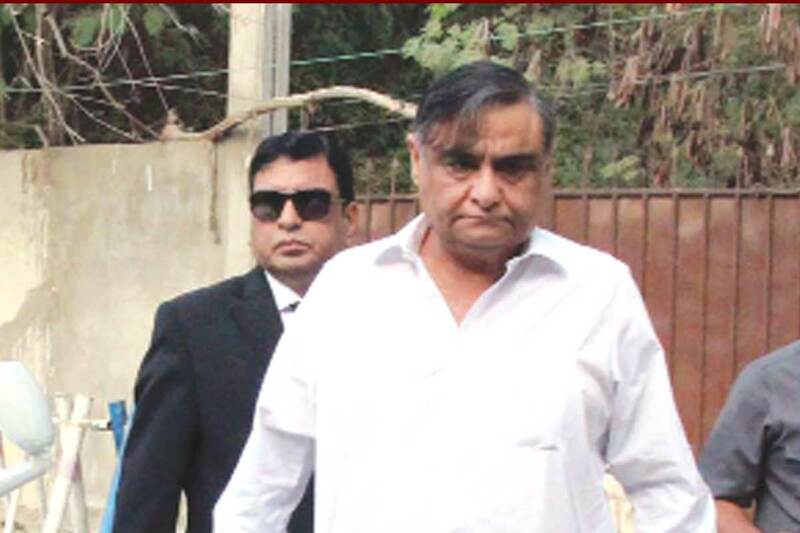 KARACHI: Dr Asim Hussain, the former petroleum minister and leader of Pakistan Peoples’ Party (PPP), yesterday appeared before the Accountability Court-II in NAB reference No.19/2016 about JJVL case. During the hearing, the court recorded statement of two prosecution witnesses, while two other witnesses were called to appear on next date of hearing, 17th November. PW Khalid Saleem Ansari and another witness Muhammad Imran Sabir completed their statements and cross examination by defence counsels. Two other witnesses Muhammad Taj and Muhammad Saeed Rizwan would record their statements on next hearing. Earlier, PW Khalid Saleem replying to questions from defence counsel Farooq H. Naik stated that he was not the signatory of the MoUs produced in the court. He also did not say anything regarding awarding of the contract to JJVL for LPG, the witness added. Muhammad Imran Sabir, the other witness, said that he was working as Deputy Director SEPA (Sindh Environmental Protection Authority) in 2015. By referring to a letter on court record dated 11-2-2013, Imran said he did not attest or issued it. “There was no inquiry committee constituted to probe the letter of SEPA on environmental issue. It is not in my knowledge.” The Director General SEPA Rafi Uddin had issued the letter dated 11-2-2013, he is the highest authority having power in SEPA, he added. The witness further stated that he had provided complete file to the NAB investigation officer related to the subject matter. To a question from Farooq Naik, he said that Mushirnama or seizure memo was prepared by the IO but was not produced before the court.